Alice Obwona (right), chair of the Kidere Village Savings and Loan Association in northern Uganda, oversees a meeting of participants in the group. Amid the growing interest in building effective and scalable solutions to meet the financing needs of the world’s 450 million smallholder farmers, organizations rarely pay much attention to the thousands of informal financial institutions that can be found in rural communities throughout the world. Instead, discussions on ways to close the estimated $400 billion gap between supply of and demand for smallholder finance typically focus on the ability of formal banks and financial institutions to adapt their models to better serve smallholders. 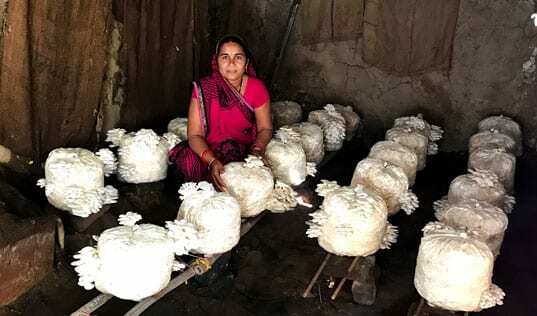 While social lenders, microfinance institutions and many commercial lenders have made trailblazing efforts to expand financial inclusion for rural smallholders, their reach remains limited. The Initiative for Smallholder Finance recently estimated that local banks supply $9 billion of debt financing to smallholders – less than 3 percent of overall demand. In the absence of commercial banks and given the limited reach of social lenders and microfinance institutions, informal groups – savings and credit cooperatives (SACCOs), rotating savings and credit associations (ROSCAs) and others – play a critical role in rural communities. They serve as a gateway through which farming families not only can save, but can access much-needed capital as well. Although identifying the precise number of active savings groups is difficult, their reach remains significant. In certain countries, the percentage of the rural population accessing services through informal financial institutions is two or three times that of those using formal bank providers. A recent World Bank survey in sub-Saharan Africa found that 34 percent of individuals who saved in the past twelve months used only a community-based institution and not a formal financial institution. 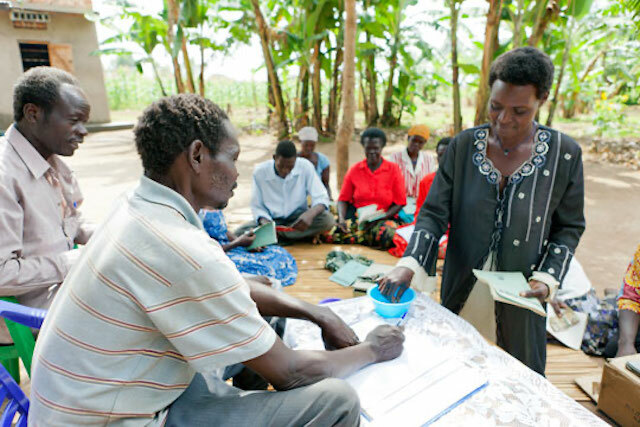 Savings groups and similar informal institutions operate on cooperative principles and are able to lend directly to farmers, thereby spanning the so-called “last mile” or “frontier” of smallholder finance. Because informal groups are owned and operated by community members who are usually smallholder farmers themselves, the agricultural knowledge and understanding that is often absent among commercial lenders is inherent in these groups. Informal financial institutions also contribute to the development and cohesion of local economies through their unique and strong connections with the community. Many of these institutions rely on shared social collateral and communal methods of monitoring borrower activity and repayment. There is a frequent bias against partnering with informal providers of capital because of perceptions that such organizations are inferior in terms of efficiency, reliability and sustainability. And indeed, many informal financial institutions are undercapitalized and suffer from weak governance, low financial literacy and poor managerial capacity. But they are often more participatory and responsive to local needs, providing financial products and services to low-income, asset-poor individuals who are otherwise seen as “unbankable.” Overlooking or circumventing these institutions in favor of commercial banks or social lenders threatens to exclude the 90 percent of smallholders who are not organized into some form of business group and do not participate in formal value chains. Through Project Nurture, more than 2,200 passion fruit farmers are accessing credit from local savings and credit cooperatives (SACCOs) throughout Uganda and Kenya. Based on our work to increase access to finance for smallholder farmers and entrepreneurs globally, TechnoServe has gained insight into the ways in which informal financial institutions operate most effectively with smallholders. For example, as part of the East Africa Dairy Development program, we have helped farmer business groups introduce informal savings and credit services, allowing members to obtain loans from pooled savings and build their asset base. 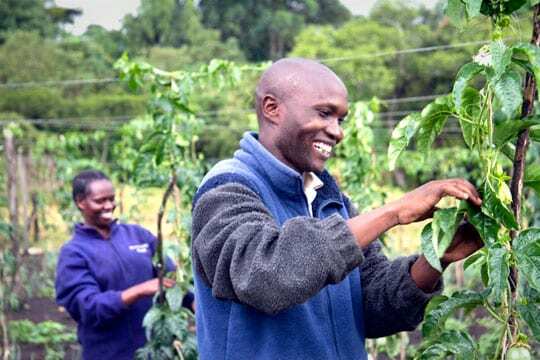 Similarly, in Project Nurture, a program working with mango and passion fruit farmers in Kenya and Uganda, TechnoServe shifted its initial strategy from commercial banking solutions to supporting existing and new SACCOs. For smallholder farmers and farmer organizations that require more sophisticated financial products or larger amounts of capital over time, informal financial institutions can serve as a stepping-stone for their members to graduate to commercial financing. By building a history of prompt loan repayment, smallholders can improve their overall creditworthiness and send a positive signal to commercial lenders. But since access to finance alone is insufficient for promoting agricultural growth and development, providing credit is rarely the optimal first step in supporting smallholder livelihoods. Instead, farmers first need assistance quantifying their production yields, understanding price formation and determining breakeven points. 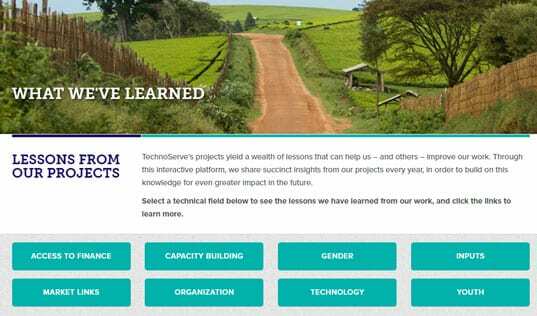 To accomplish this, TechnoServe has developed simulation-based financial literacy trainings. 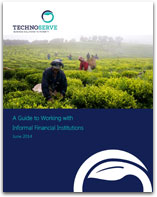 These and other best practices are documented in our guide to working with informal financial institutions. In order to capitalize on the potential of savings groups, greater investment is needed to build their capacity, including improvements in operational efficiency, strategic planning, product innovation and embedding technology solutions where possible. Stronger connections to formal financial institutions also would help to expand opportunities for smallholders who need more advanced credit and risk management products. Informal financial institutions remain the first, last and only source of capital for millions of smallholders, and they will continue to play a critical role in serving the hardest-to-reach and least-organized farmers.